These days, blogs are an important source for most of us find valuable information and insights. Whether your interests are travel, cooking, home decoration, great gift ideas or film, there are millions of blogs online where you can find all that you need. As you might expect, the number of full-length feature film blogs numbers in the hundreds of thousands. Some, such as the BFI, are a great place to find all kinds of articles that will help you discover new and interesting movies. Others can be a frustrating mix of garbage and mildly interesting information that might just make them worth visiting. If you are a short film lover, but don’t have the time to waste searching for the best blogs, then here is our list of the top 10 short film blogs of 2018. 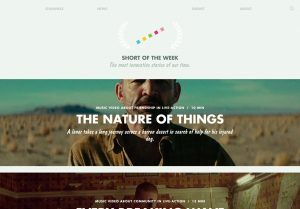 Short of the Week is a great weekly blog that is focused on short films. 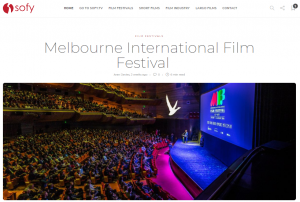 The blog reviews all the latest short film festivals and the best short movie releases. So if you are looking for the latest news from the short film industry, then Short of the Week is the place to start. Delving into their archive is a great way to discover new films that you might have missed. Their roundups of the best films from that year are a goldmine to short film enthusiasts everywhere. If you are an aspiring filmmaker or are interested in how films get made, Filmmaker Magazine is the blog for you. It is full to the brim of insider stories from filmmakers who tell how they made their films. All the articles are extremely well written and researched. The topics range from reviews of the best films to how to turn your short film into a feature. The site hosts hundreds of top quality articles, a good majority of which are short movie focused. 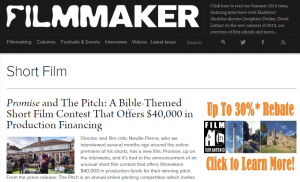 This great site aims to help short filmmakers raise money for their next movie. It reviews all the best crowdfunding projects and writes them up to provide its readers with a list of recommendations. The site has an excellent blog that covers a range of mainstream film topics like the top 10 short films by women filmmakers and the most acclaimed works of director Francis Ford Coppola. Don’t let this site’s slightly strange name put you off. It hosts a really excellent Sci-Fi movie focused blog that features lots of interesting articles. Their blog page is quite fancy so takes a little time to load, but once up, you will see that it is crammed with great articles. Topics range from Q and A sessions with filmmakers to movie poster reviews. Another great thing about their blog is that they keep it up to date with all the latest short film competitions such as the Kin X Dust sci-fi short film competition. If you are a Sci-fi short movie fan, then Dust is the premier site for all your needs. 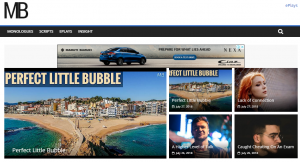 This great site has been posting regular blog articles since May 2012. Its posts are focused entirely on introducing audiences to new short films. They review new shorts on a weekly basis, making this an excellent place to discover new short films. Much of the content is music video orientated, so if you are a lover of MTV then you will certainly love Go Short. Many of the videos are very creative and original; a particular favorite is “Birthplace by Sil van der Woerd and Jorik Dozy”. While it might seem a little arrogant to include our own site on a list of best 10 short film blogs, we have plenty of good reasons to do so. To balance things out a bit, we have included it at number six because we are still working hard to get more articles up for our viewers to read. The great thing about the Sofy.tv blog is that the vast majority of the films that we review are available as part of the Sofy.tv on-demand video streaming catalog. For more on the Sofy.tv revolution, head to our homepage or view this article. We try to keep the topics on our blog as varied as possible. We make sure to keep our members up to date with all the latest releases on the platform, as well as posting one article per week about up and coming film festivals. We usually post one other article per week, which can be anything from tips for filmmakers to the latest news stories and topics of interest from the behind the lens. Monologue Blogger is a fantastic little site that aims to inspire the creatively minded. It is loaded with monologues, scripts. short film reviews, as well as screenings and interviews. Though much of its material is not short film focused, it still has a number of really good articles that will be of interest to up and coming filmmakers. Topics include “How To Become An Actor With No Experience” and “10 Practice Scripts for Actors” etc. Shortfundly is another great choice for those aspiring filmmakers out there. Their blog is full of tips on how to nurture your creative side as well as tips on how to improve your technique. The site currently has over 120 pages of articles, meaning that you will never be at a loss for something interesting to read. Aiming to promote their awesome annual short film festival, this blog is full of the latest news about the ASFF festival and related events. 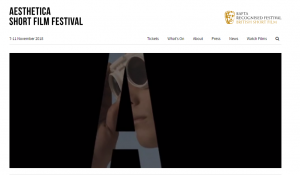 They also take the time to fill their blog with lots of interesting articles relating to the latest film releases and other news from the short film industry. Their “5 to See: This Weekend” posts are really helpful if you find yourself wondering what shorts you should watch over the weekend. The Guardian newspaper has for a long time now been a great supporter of short films. Not only does the newspaper regularly sponsor and support short films but it also includes a short film blog on its site. Its high-quality articles are a must for any film lover, though they generally are far lengthier than the other blogs featured here, including our own Sofy.tv blog. The only drawback to this blog is that not enough short movie focused articles are being posted. It would be great to see a few more just in case anyone from The Guardian is reading this.